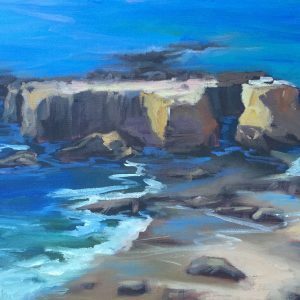 Categories: Seascape, coastal California. 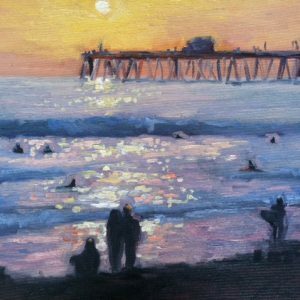 Tags: california coast, Impressionism, ocean painting, surfing. 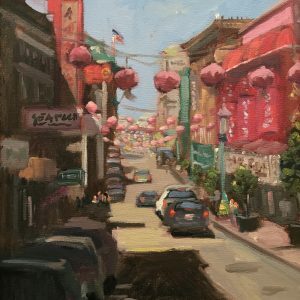 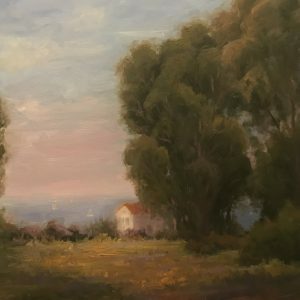 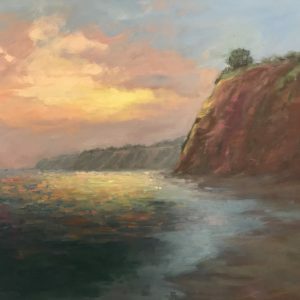 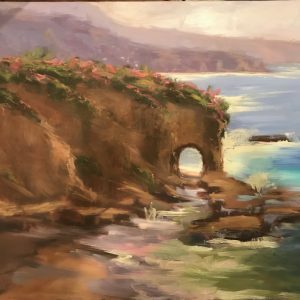 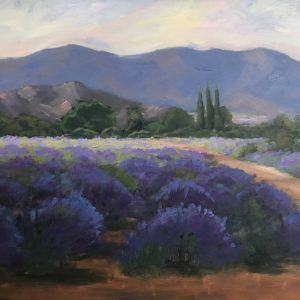 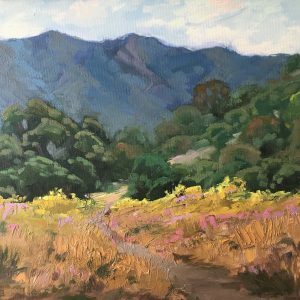 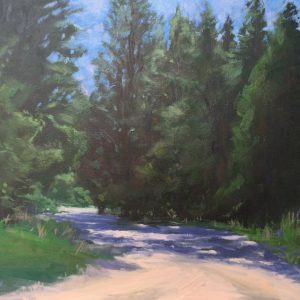 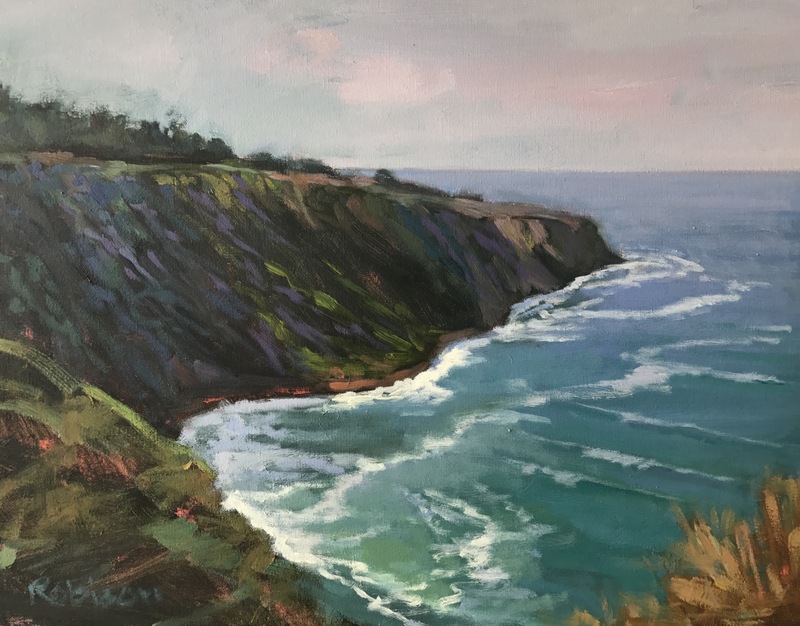 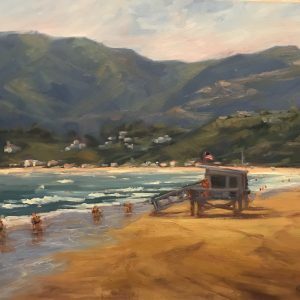 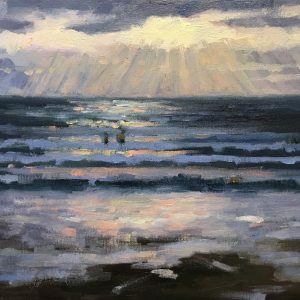 Original oil painting of California coast near Palos Verdes. 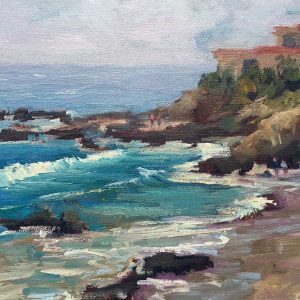 Lots of blues, teals, grey-blue, sea green, and viridian. 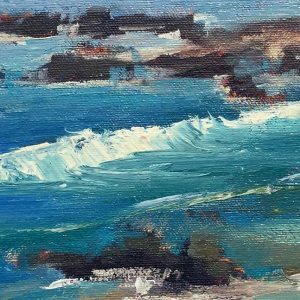 This piece captures the movement of the water with moving lines and white water.